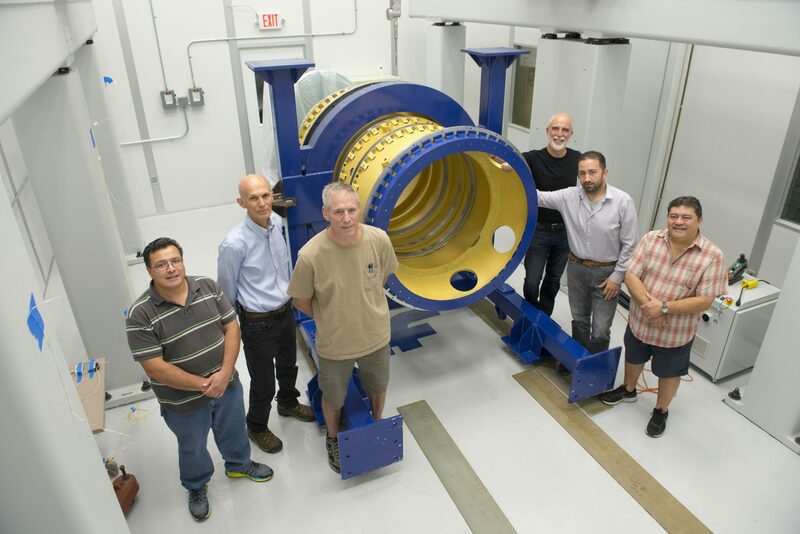 A press release on the Dark Energy Spectroscopic Instrument (DESI) was issued by the DESI collaboration. The U.S. Department of Energy’s Fermilab is a member of the collaboration, bringing expertise gained during the design, building and operation of the Dark Energy Camera to this next-generation instrument. Fermilab scientists are managing key elements of the construction, including the heavy mechanical components (including the precise alignment of the structures that hold the lenses), the assembly of the charge-coupled devices, or CCDs, that capture light, and the online databases used for data acquisition. Fermilab is also providing software that maps between the locations of light sources in the sky and the positions of each of the 5,000 robotic fiber positioners that make up the DESI plane, drawing on more than 25 years of experience with the Sloan Digital Sky Survey and the Dark Energy Survey. Read more in the press release here.